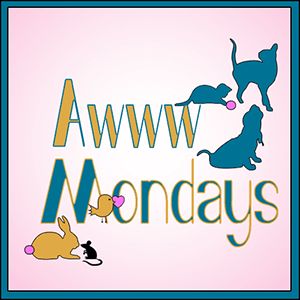 This entry was posted in Blog Hops, Book recommendations and tagged Awww Mondays, Gremmie, It's Monday! 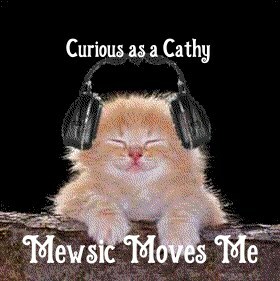 What Are You Reading?, Joanie, Mewsic Monday by pilch92. Bookmark the permalink. We are impressed with the new wardrobe Gremmie got! He will be looking good! Nice sweater Joanie! I bet it’s nice and cozy and I think Gremmie is going to love his “tighty whiteys” (haha) and clothes too. 1,000 people to make a cup of coffee?! I never thought about all the people involved, either. That’s really amazing! Those are two great songs. Great reviews on the books. Joanie, you sure look terrific in your nice sweater. You all have a fabulous day. You will like it. It is a really big book. ‘Moonshadow’ is a lovely song. Speaking of the moon, did you see the super blood moon last night? We were under cloud cover and weren’t able to see this cool phenomenon. Thanks for sharing the dance floor with the 4M gang. Have a boogietastic week, my friend! She has a beautiful voice. Good choice for today considering the show the moon put on last night! Thank you 🙂 Gremmie is lucky. Mandy has a beautiful voice perfect for this song. Those were good tunes and the book sounds quite interesting too! Joanie looks cozy in her sweater. What a clever idea to buy that garland for Gremmie’s wardrobe! Edward Gorey is one of my favorite illustrators. “Books. Cats. Life is Good.” Is a great quote attributed to him and also to T.S. Eliot, another excellent cat guy. I wonder who actually said it? Joanie is such a great poser and model. Huge aw. Love Moonshadow. Haven’t heard that in years. Thank you 🙂 I hope you had a happy day too. We love This is Us, and we really enjoyed those clips. Gremmie’s new clothes are so cute! Yes, a guy with 6 cats has to be good! I love Mandy Moore on This Is us. Thanks for sharing about what you’re reading. Both those books sound like great ones, and we’ll add them to our list! Six cats and 20,000 books! Sounds like a goal! I hope you enjoy the biography. Come see my week here. Happy reading! Yes, I would rather have more cats than books. Nice tunes! The books sound really interesting. The outfits are adorable! Nice tightie… er… not ‘whities’. ~grin~ Stripey blues? Heh… I didn’t know anyone but Cat Stephens recorded ‘Moonshadow’. Cool! Be well, my dears. Moonshadow is such a great song. I really like the original by Cat Stevens. I was inside all weekend, and I barely opened a book! Weird, huh? Shoveling snow only took up maybe a full hour of the weekend, so the rest of the time was spent petting kitties! Great songs and I enjoyed them all. Very nice. That’s a great song – we were following that moon last night despite the bitter cold! Lovely selection of music, and cute little clothes – especially when they are on clearance – yay! Thanks for sharing the videos. We love Mandy Moore. You have some of the best posts. Joanie has so good book choices for the week. We are going to check them out. Thanks for the share. Have a wonderful week. Thank you for visiting. I hope you have a nice week too ! Gremmie needs to stay warm too, right? Moon Shadow is always a great tune around the campfire too don’t you think? When friends get together it’s a fun song to sing. Thanks for sharing your two versions of a very fun song & thanks for playing along with the 4M’s today! Stay warm & thanks for rockin’ along with us! I love that song! I love Gremmie’s new outfit. That many people just to get us a cup of coffee? Boy, we really are all interdependent. That garland was a bargain! Love Gremmie’s new wardrobe. Moonshadow is much a catchy song. TW likes Cat Steven’s original version. Mandy Moore is so talented and can make me cry on This Is US in a heartbeat. LOL! Gremmie is going to be quite the fashionista! Great reviews – and love Gremmie’s new clothes! I didn’t get into This Is Us when it began. Big mistake. Not sure I can catch up now. I love the song and videos! Thanks a Thousand looks like an interesting read. I believe most of us don’t realize what it takes to get items on shelves in the stores for us to buy! Hope your week is going well. MOL, I love Gremmie’s new clothes! How cute! Those clothes are so cute for Gremmie! I might be the only person in the United States never to have watched This is Us. The clip intrigued me, as did Mandy Moore singing “Moonshadow” because that song (for me) will always be identified with Cat Stevens. But, I will say that Mandy has the perfect voice for the song. I highly recommend the show.